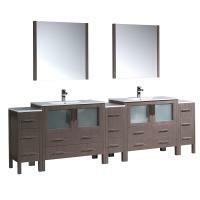 Sleek modern design and amazing functionality is brought to the space with this double sink vanity. The piece is set up with a step like outline that allows for extra counter top space as well as room underneath for the two double door cabinets and thirteen drawers. All of this storage space will make it easy to keep the bathroom well organized. 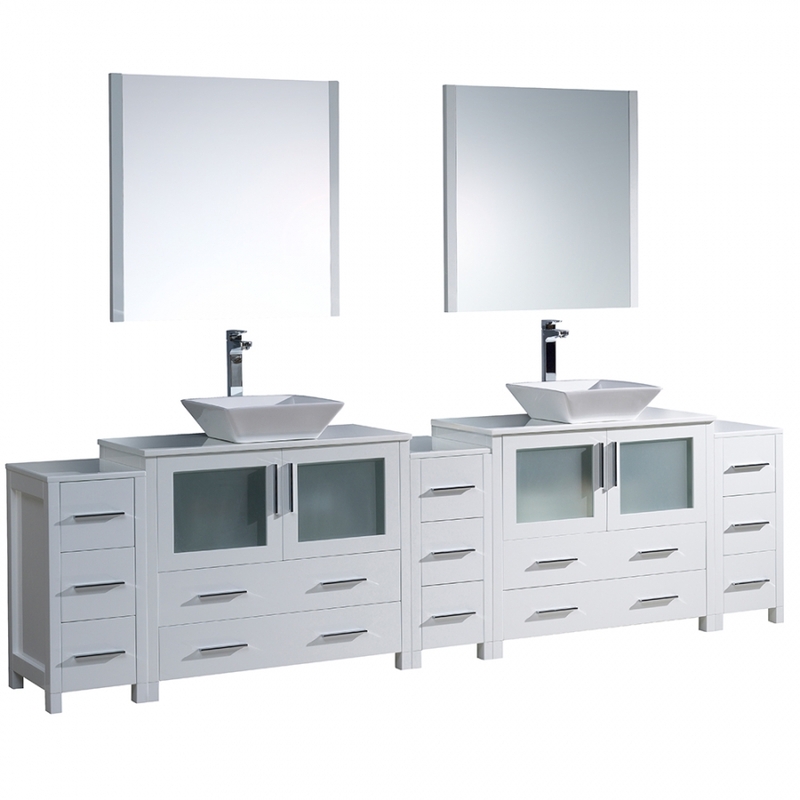 The white finish is accented with chrome hardware pulls and the frosted panel inserts in the cabinet doors. The two vessel sinks have tapered sides which add a nice outline to the piece. Matching mirrors are included to complete the look and provide personal viewing areas.